Cancellation of registration after payment is not possible. We provide discounted Early Bird tickets and refunds of cancelled tickets can lead to abuse by registering early and cancelling it shortly before the conference. However, you can transfer ticket to other person anytime before the conference. 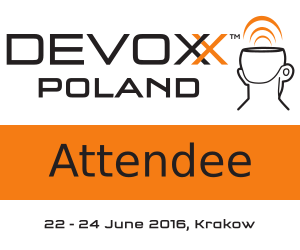 Devoxx Poland 2016 Early Bird price starts from 699 PLN (175 EUR) for all 3 days. The closer to the conference, the price is higher. A month before Conference only ticket costs 999 PLN (250 EUR). 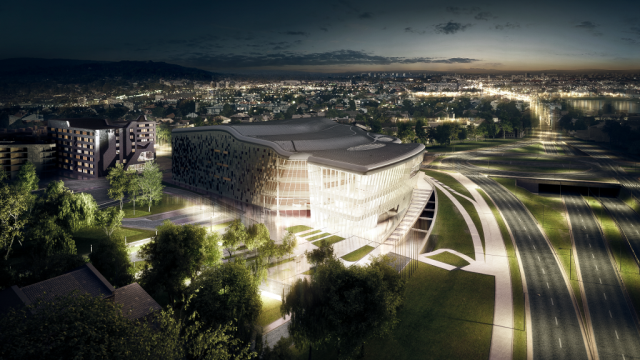 You can also buy a combi ticket with UnVoxxed Open Space conference on Saturday or even Devoxx Total eXPerience ticket for additional 2 or 3 nights in 4* hotel next to conference venue (Best Western or Hilton) and VIP access to Dinner with Speakers on Thursday evening. You can extend hotel stay for Devoxx Total eXPerience tickets by responding to registration confirmation email. Additional night will cost 120 EUR. 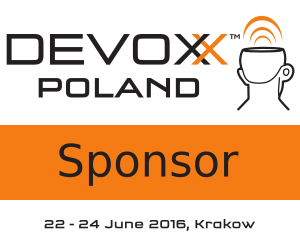 The Devoxx Poland 2016 call for papers is now open till 31st March 2016. We will start reviewing submissions on 1st March 2016. You can expect accept/refused email around 1st April. Hilton Garden Inn – It is 400m from conference venue. Make sure you remove info@devoxx.pl and registration@devoxx.pl from your spam folder. All Conference talks, Tools in Action and Keynotes will be recorded and available online after the conference. If you decide to travel by car, please notice that there is 100 free parking spots in the ICE underground parking. However, before you enter the parking, please grab a parking ticket from registration desk. If you enter the parking without that parking ticket (or take one at the parking gate), you will have to pay for parking. Please note that there will be 2500 people, so if you don’t need a car, please use public transportation, bike or your own foot. This way those who travel from outside of Krakow by car will have place to park. The last resort is the paid parking at the old Hotel Forum. You can find more information here and price list is here.